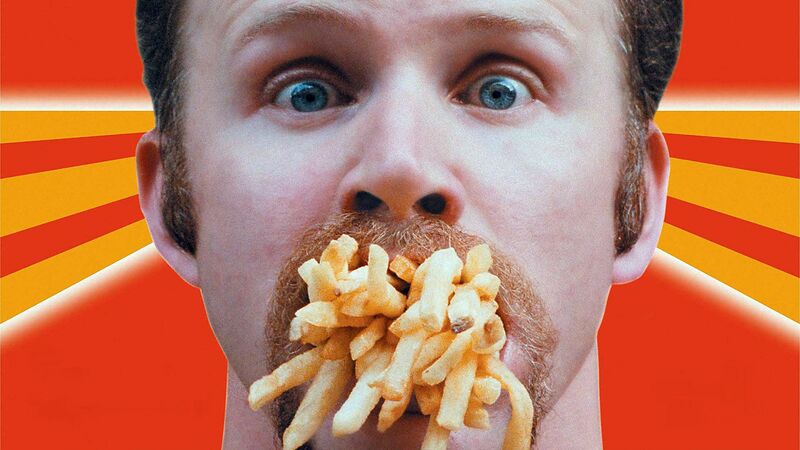 Super Size Me, shows you the true life 'mission' of one man (Morgan Spurlock) to survive on McDonald's food ALONE for a full calendar month. This documentary takes steps towards shattering the myth of 'family-friendly' Mackey D's. From the moment it begins you can’t help but help but think, “That can’t be true”. (Especially the amount of McDonalds some people consume in one week!!) The documentary is somewhat in the same mould as those created by Michael Moore, and the similarities are sometimes glaring. Even though the subject matter is unique, the anti capital America view is not! However this does not take from the film, it is still worth a look. You can’t help but get both interested and repulsed by Spurlock as he consumes more and more meals from the corporate chain. One point that is very interesting is the change in medical standpoint on the issue and also that of nutritionists as the film progresses. 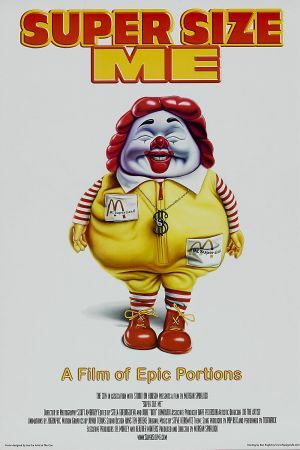 This film will definitely change your attitude to fast food! !